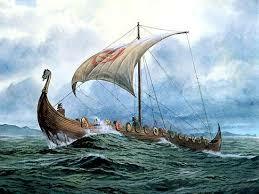 According to legend, the frontier home of our Stenoien ancestors was visited by our Viking ancestors in 1362. Indeed, the “Viking Trail” is posted on signs along rural roads in the region. Popular opinion has it that Viking explorers sailed on Lake Osakis, just down the road from the home of Ole P. and Johanna Stenoien’s farm! Thereafter, the area was frequented only by Indians. The lands of Gordon and Little Sauk Townships were uninhabited at the time. 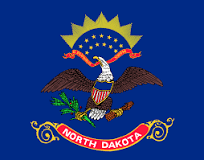 The plains’ Indian tribes of the Sioux lay to the west; the wooded Indian tribes of the Chippewa to the east. Lake Osakis was the site of frequent battles between these tribes. Uprisings resulting from the white man’s incursion into ancestral Indian lands in the 1860’s uprooted the settlers of the area. The Gordon family was forced to flee, returning only after the wars ended in 1864. The land was now open for homesteading, and this marked the onset of a rapid influx of settlers, including our Norwegian ancestors, into Little Sauk and Gordon Townships in Todd County. 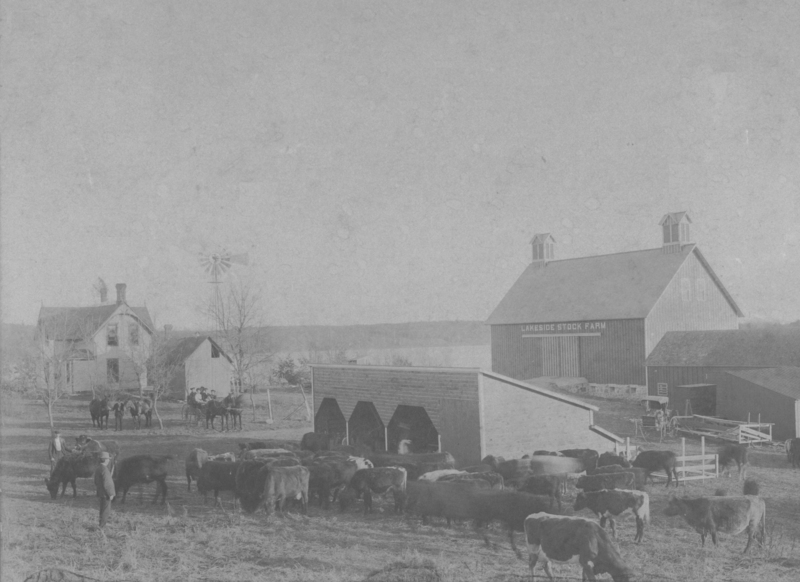 In 1865, Alexander Moore, who had started a small store in the Gordon corner, filed for homestead in Little Sauk. He did not intend to farm, but rather built a dam in order to power a flour and saw mill. This dammed up the Little Sauk River for miles and miles, creating a lake in the process. This mill and lake is mentioned, as it proved to be a boon for many of the early settlers who otherwise might have starved to death. Many of them had boats along the lake. As soon as they could raise a sack of wheat, they could sail down to the mill in Little Sauk and have it ground into flour. If they did not have wheat, they could often borrow enough to survive the winter, after which they could expect to have a small crop themselves. Alexander Moore saved the lives of several families during those early years. Mikkel Anderson was the first Norwegian to settle in the township of Gordon. He purchased a quarter section for $75 in 1867. Mikkel was a bear hunter from the old country, like his brother, Baard. Many stories were told of him as a hunter. It seems that one time the one bullet capacity of the gun he had did not kill the bear. Mikkel was running around a tree trying to reload his gun with the bear in hot pursuit. The bear caught him, and in a flash had him on the ground, his left shoulder crushed in the mouth of the beast. Luckily, Mikkel’s partner was right there, but he was afraid to shoot, as the bear’s head was quite close to Mikkel’s head. He hollered, “Shall I shoot?” “Yes, shoot!” Mikkel said. And lo and behold, the bear rolled over dead. Mikkel lived only five years after coming to America and was buried at the graveyard near Nelson, Minnesota, as there were no graveyards yet in this vicinity. Back in Norway, it was known that inexpensive land was available in America. To these hard-working miners and farmers, cold Minnesota sounded like the land of milk and honey! The tenant farmers of Stordal barely eked out a living in the harsh, cold valley. Our direct ancestors occupied the Stenoien farm. 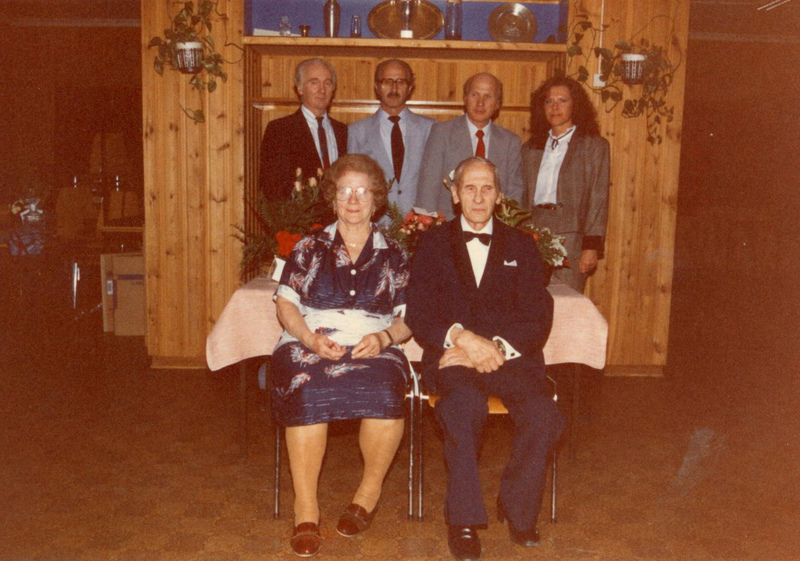 Lars and Marta Olssen (Stenoien) were elderly at the time, approaching 75 years of age. They were cared for by Peder Larson (Stenoien), father of Ole Pederson (Stenoien). Lars and Marta’s oldest son, Hans Larson (Stenoien) was in the first group to leave for America. These first emigrants left the valley in 1869, sailing from Trondheim to Staten Island, New York. They then made their way by train to Minneapolis; from there they journeyed on foot to join friends and relatives in Wanamingo Township, Goodhue County, in southwestern Minnesota. There they worked for the established, prosperous Norwegian farmers in order to accumulate the funds and equipment necessary to start out on their own. A brief note about Norwegian names. Prior to 1900, it was customary for a son or daughter to take on his/her father’s name as surname. For example, Lars’ son Hans, was known as Hans Larson. Peder’s son Ole, was known as Ole Pederson. The name Stenoien, which means ‘stone island’ in Norwegian, is the name of the tenant farm that our family occupied and which was passed from father to son. The name Stenoien is placed into parentheses in order to clarify ancestral relationships. Even upon arriving in Minnesota, our ancestors frequently changed their last name. There were far too many Pederson households in the neighborhood, not all of whom were related, thus Bestefar (Ole Pederson Stenoien) took on the Stenoien name. Others in the family initially used Stenoien as surname, only to late abandon the practice in favor of an easier name (Stenoien to Larson in the case of Hans Larson Stenoien’s descendants). It was already ‘late in the game’ for these Norwegian settlers. The fertile plains of southern Minnesota had been completely claimed. Only the geographically less attractive homesteads remained available for claiming purposes, and our ancestors had meager funds which prevented them from purchasing substantial land. In 1870, a party of three men, lead by Jens Skordalsvold and including Manuel Jensen (Hans and Peder Larson Stenoiens’ nephew), set out from Goodhue County to the northwest in search of land. They failed to find any at their destination, Ottertail County. On the way back, however, as they passed through West Union, Todd County, they were told that there was good land available through the timber. This beautiful, wooded, gently rolling land with its meadows and lakes was in Little Sauk Township, Todd County, and the men immediately filed claims in St. Cloud on their journey back to family and friends in Goodhue County. The year 1870 saw the arrival of several of our ancestors to Little Sauk and Gordon Townships in Todd County. Hans Larson (Stenoien) and his nephews, Lars Pederson (Stenoien, eldest son of Peder Larson Stenoien) and Manuel Jensen (son of Hans’ sister, Beret). Once the claims had been filed, it now became necessary to ‘prove’ one’s claim. This entailed not only building a house, but also cultivating a crop, however small. While most of these ‘houses’ were twelve to fourteen feet square or less, there was always room to put up an uninvited guest for as long as necessary. The pioneers were good-hearted and always willing to help each other. Nobody went hungry as long as there were deer in the woods, fish in the lake and Moore’s mill at Little Sauk Station. The area was heavily wooded at the time. Johannes (brother of Gidsken Gillan) and his wife, Daardi Gillan settled on the SW corner of section 24 in Gordon Township. Daardi recalled that Indians were often to be found in the thick woods in those early days. The wood and brush was so dense that it was difficult to find one’s way to the nearest neighbor. Settlers used to mark the trees with an ax and thus walked from mark to mark to find each other’s huts. It happened one day at the Joe Jordan place, that a yoke of oxen came trudging along, pulling a wagon. They halted in front of the Mr. Jordan’s homestead shanty. He went outside to see who it was and became rather puzzled and surprised, for there was no driver. He took care of the animals and waited for the driver to show up. Later, a search was organized, but to no avail. They finally concluded that the Indians had somehow done away with the traveler. Those early years were difficult ones for the settlers. The first task at hand was to build the cabin, the second to clear land for next year’s crop. The hardest thing to tackle for these early settlers was to grub and clear the land for crop purposes. If ever anything took determination, and produced “the sweat of thy brow,’ well here it was. It was the hardest kind of labor imaginable. It took only one look at the shaking and calloused hands and fingers of the pioneers to know that they had put into the job more strength than they really had, at least many of them. It would ordinarily take one man with a grubhoe and an ax one month to grub one acre, and another to clear the logs and wood and brush and break it. The process of getting a big field was indeed slow in coming. In addition to this labor, they somehow had to provide a living for themselves and families. After working frantically through the spring, the men typically left for part the summer, working for other farmers or the railroad in order to accumulate cash for their households. This left the women and children alone for long periods of time. Imagine the dark nights, with dreams of Indians, howls of wolves and the forced isolation of the dense forest. Hans Larson (Stenoien) and his family settled on a quarter section on Maple Lake in Little Sauk Township in 1871. He was a religious man, the ‘klokker,’ or lead singer, in Salem Church for many years. He strictly avoided the use of alcohol, and more often than not, reminded others of its folly. On one particular occasion, he said a bit too much to a certain Per Sathran, who had entered the premises drunk. Per was a very big and strong man, but had obviously ‘sunk’ a few too many. He grabbed Hans in an attempt to bodily toss him out the door. 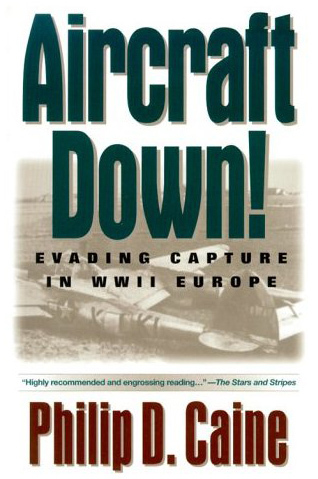 On the way, Hans managed to grab hold of the window. Soon thereafter, both Hans and the window frame sailed out into the night! Lars Pederson Stenoien, son of Peder and Ingeborg Larson Stenoien and older brother of Bestefar, was in the first group of Stordal immigrants. He was single upon his arrival, but married young Lisa Skordalsvold in 1873. Lisa’s father, Jens Skordalsvold, was a great hunter both in Norway and in Minnesota. Her brother, Johannes, was later destined to be a prominent college professor, living both in Minneapolis and Norway. Lisa unfortunately met with a tragic, fatal accident on the railroad tracks in Osakis in the mid-1880’s. Thereafter, Lars married Kari P. Stavlien and adopted her two children. Lars was apparently the ‘black sheep’ of the family, particularly when he failed to join the Elim congregation. He was often seen whipping his horses on the way home from the local tavern. One story is told of the time that Bestefar found him held overhead by six drunk Irishmen, who were about to toss him into the lake. Ole dispatched them without further ado. On a second occasion, a number of Germans took after Lars in a poolhall in Osakis. Bestefar, also in the pool hall, filled his pockets with balls, ran out into the street and cast them after the fleeing Germans. Lars was the first to have a binder (used to bundle wheat in preparation for thrashing), and neighbors flocked to his homestead to satisfy their curiosity and to watch the new machine perform. When Daniel Danielson Sr. noticed that the camwheel stopped ever so often, he rushed up to grab the wheel and turn it. When the camwheel engaged, four of his fingers were cut off. After the deaths of Lars and Marta Stenoien in February of 1879 (they died within two weeks of one another), Peder Larson Stenoien and his family were free to emigrate to America. Peder, Ingeborg and the children left en masse. The oldest son, Lars, had left ten years earlier. One daughter, Johanna, remained in Norway. She married a Gillan, the descendants of which union accounts for our modern day Norwegian relatives. Peder and Ingeborg lived in a small log cabin 1/8 of a mile north of Ole (Bestefar) and Johanna (Bestemor) Pederson Stenoien’s farm. Neither spoke a word of English, and they both died in 1900 after fifty-four years of marriage. As an aside, this same cabin was later occupied by Ole and Bura Stenoien, and it was here that Jerold Omar Stenoien was born. As is evident by the fact that Peder and Ingeborg Larson Stenoien never learned English despite living here for twenty years, the language barrier was a problem for many. One Norwegian woman evidently had a disagreeable experience trying to be understood without success. “She could not for the life of her see why the Americans did not understand her because she surely talked plain enough!” The Scandinavian and German communities stuck together. They socialized within their own circles, and worshipped God in their native languages. It is no small wonder that the English language was not always mastered. Imagine the thick Norwegian accents as they tried to speak English, babbling on and gesticulating wildly with their arms until they might be understood. Even Ole O. Stenoien, my grandfather, born in 1892, did not speak a word of English until he started school. He remained fluent in Norwegian all of his life. Ole Pederson (Stenoien) traveled with his parents, siblings and kjaereste (girl friend) Johanna Svensdatter Gillan, leaving Norway in 1879 and arriving in Gordon Township in 1880. By this time, the railroad passed through Osakis, and the family had only a ten mile walk to make. Nonetheless, the walk was memorable, as Ole and Johanna carried a large steamer trunk between them over that distance (containing all of their earthly possessions). Bestefar and Bestemor were nineteen at the time. While there is little known of these early years, their first child was born in 1883, and the family later occupied an 80 acre farm in Gordon Township. The remainder is left for a later story. Hardships and heartbreak often went hand-in-hand. If one visits the old Salem cemetery, one immediately notices both the paucity of tombstones and the large number of unmarked graves. 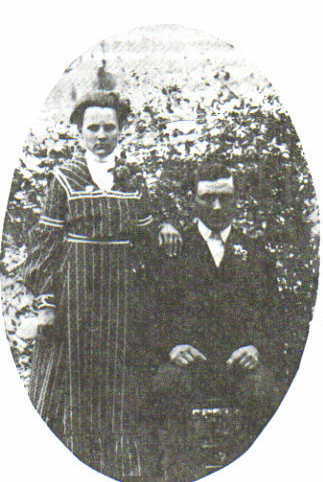 Bestefar’s youngest brother, Peder, had two children. The first, Thorsten, died in 1890 of cholera at the age of one. The second, Theodore, died of the grippe (flu) at the age of four. His wife, Kari, died in childbirth, and no later records of Peder Stenoien can be located. 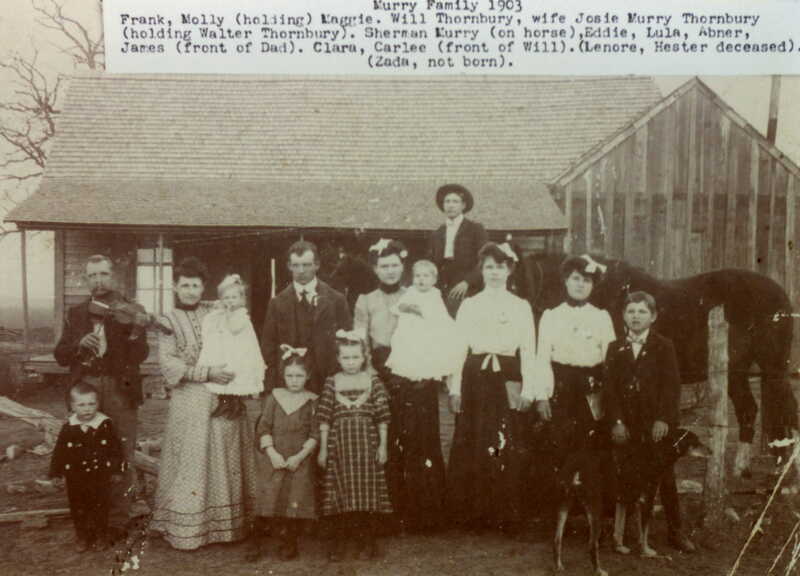 Another example is that of the Gilbert Olson family. They lost their first daughter to diptheria in 1888. Two weeks later a son, Louis, came down with the same disease and died in December. It was a contagious disease and a public funeral was not allowed. 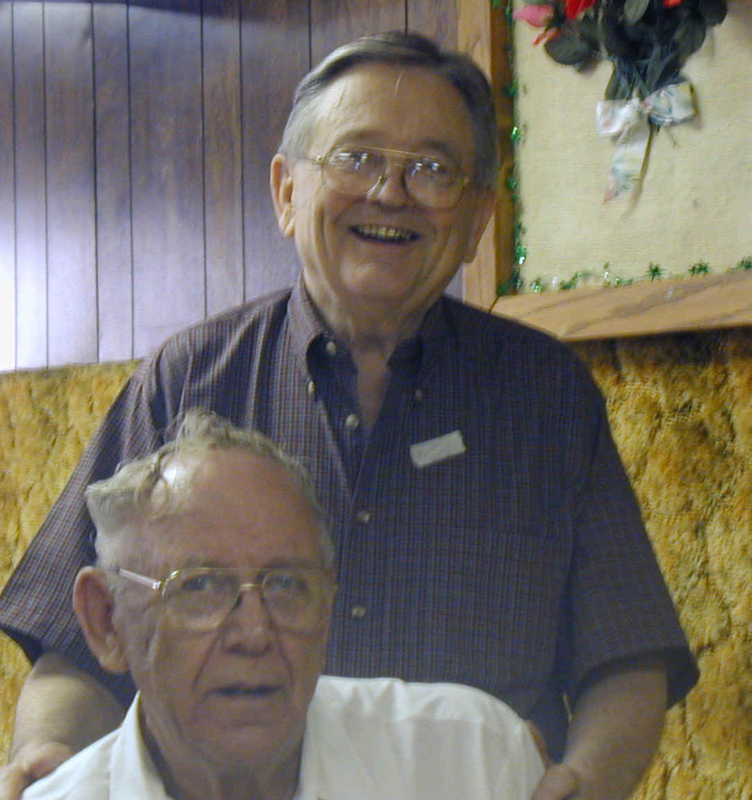 Gilbert and a neighbor (Gudmund Thompson, Ralph Stenoien’s father), buried the boy. They had barely returned home only to discover that a second boy had succumbed to the disease. In 1889, a fourth child died. A year later, in 1890, a fifth child was taken to the grave. With a doctor’s knowledge and the medicines that we have now, this could be avoided, but it happened all too frequently in the pioneering days. While game was plentiful, ammunition sometimes was not. Baard Anderson’s family was running short of food. The old gun was useless without bullets and there was no place to get ammunition. Baard decided to put snares in the path of the deer. In the vicinity where Sauk Valley church now is located, there is a deep ravine leading down to the water of the Sauk River. From the much used path at the bottom, Baard knew that the deer came here for water. He put out his snare and hid in the brush, waiting. After some time, several deer came running and passed through the ravine. All of a sudden, all went wild with unusual noise and jumping. The deer flew like lightning out of the ravine in all directions. Baard crawled forward, seeing that sure enough, one deer was in the snare. But lo and behold, the snare was only around part of one horn, and it was evident that with a few more jerks, the deer would be free. Baard could not afford to let this happen. Like a cat, he jumped onto the back of the deer, and in a flash the deer was out of the snare, flying through the brush and the trees with Baard on his back. The deer tried every possible trick to shake him off, but he sat on as if he were glued to the deer. It did not take more than a mile or so before the deer was all played out and Baard was able to finish it off with a pocket knife. Baard later said that it was the worst ride of his life. He bore the marks of this experience on his hands and fingers for the rest of his days. The church played an important role in the lives of our ancestors. Each Sunday was an opportunity to not only attend services, but also socialize with one’s neighbors and relatives. The settlers were quite alone on their homesteads during the remainder of the week. The conversations exchanged were often one’s only connection with the outer world. The earliest Stordal settlers worshipped at Long Bridge Lutheran Church on the U-trail. As more settlers homesteaded to the north and west, it became arduous merely to get to church. Remember that as yet there were no roads. The pioneers followed winding Indian trails along the ridges in order to avoid becoming mired in the muck of the lowlands. These roads meandered haphazardly through the various homesteads. One farmer complained of having to open thirteen gates in order to get to church! In 1872, Gordon Lutheran Church was built. Hans Larson Stenoien was a trustee of the church. Initially this consisted solely of a log cabin and was called the West Church, part of Little Sauk Church. It was incorporated in 1878 as the Salem Lutheran Church. By 1883, geographical considerations mandated building a new church, and the Sauk Valley Church was built. The Stordal congregation for the most part worshipped at Salem Church. The 1890’s saw several stresses placed upon the status quo. First came the Augsburg strife of 1896. Following this in 1897, Reverend E. M. Broen, pastor of both Salem and Sauk Valley congregations, held a series of revivals. The resulting group of ‘born-again’ Christians felt that it was inappropriate for them to continue to worship with their ‘unenlightened’ brethren. Hans Larson Stenoien remained with the Salem congregation. 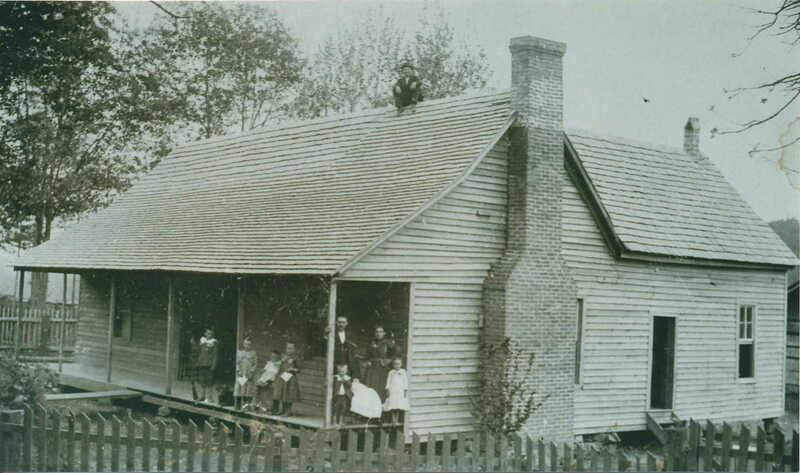 The group built the existing Elim church; Hans donated the lumber for the pulpit in 1899. Ole Pederson Stenoien served as trustee for the new Elim congregation formed on 3/11/1899. John Pederson (son of Lars Pederson Stenoien) and John Storoien (not related) contributed logs for lumber. The church was constructed in 1903. All services were conducted in Norwegian until 1935. Here ends the chapter on those early Minnesota days. It is sadly incomplete, but hopefully useful in shedding some light upon our courageous, determined, hard-working pioneer ancestors.